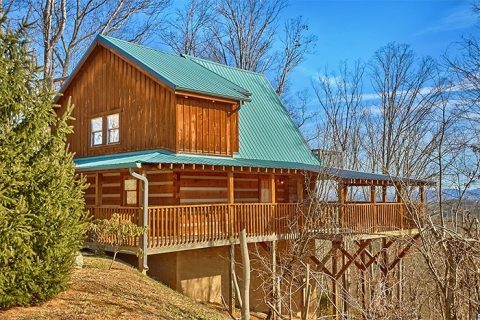 Come experience "Altitude Adjustment," a 2 bedroom log cabin close to Pigeon Forge off of Wears Valley Road. 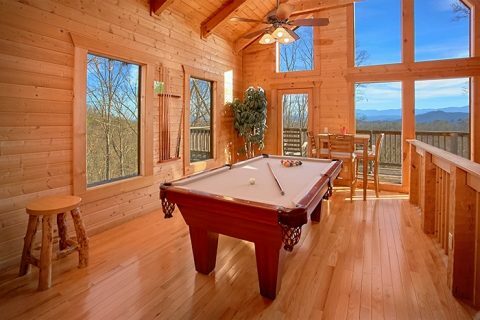 Located only a short drive away from the Parkway, guests will have no shortage of things to do well within reach of their cozy mountain escape. 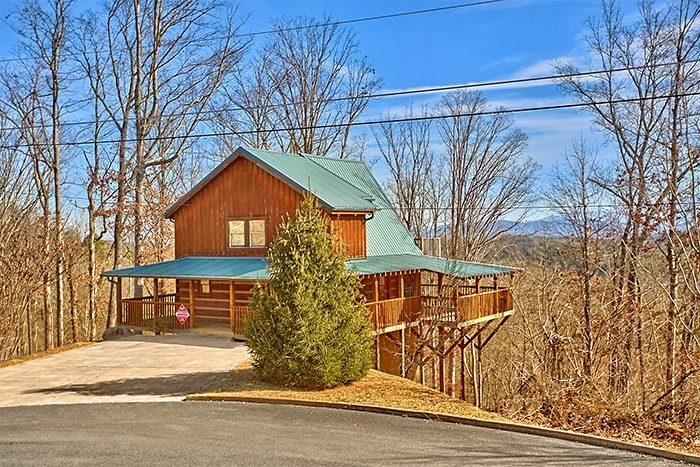 Better yet, this Wears Valley Road cabin with mountain views boasts a gorgeous setting with vistas that are bound to make your vacation in the Smokies a truly special occasion. 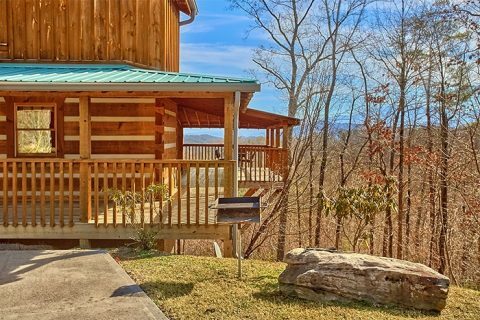 This two bedroom log cabin close to Pigeon Forge sleeps 4 guests and is perfect for a couple's honeymoon or a family retreat. 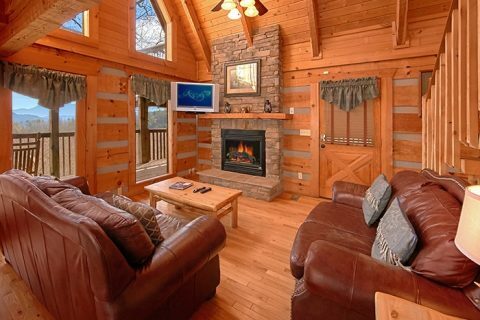 Step into this spacious cabin with an authentic cabin interior and stacked-stone, fireplace. 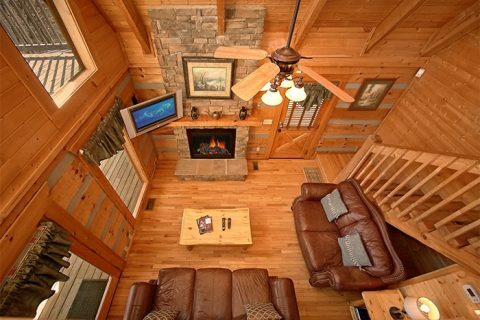 With comfortable leather furnishings and a television, this open space is perfect for enjoying your favorite movie while staying warm by the fire. 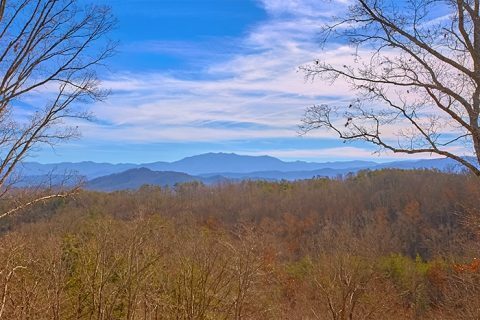 After a day of exploring nearby Pigeon Forge or Wears Valley, the fun doesn't have to stop when you return to your rental! 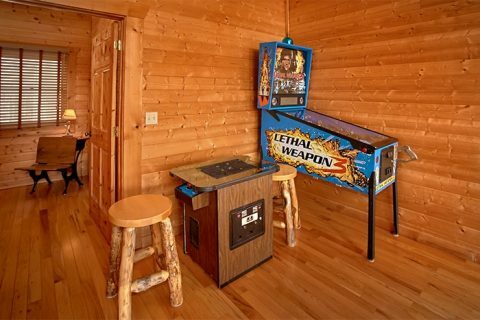 With your in-cabin pool table and stand-up arcade game, you can enjoy hours of entertainment and some friendly competition. 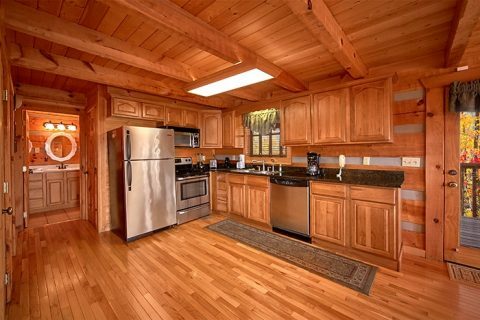 For a dinner in the comfort of your own cabin, you can prepare delicious meals with your fully-equipped kitchen and charcoal grill. 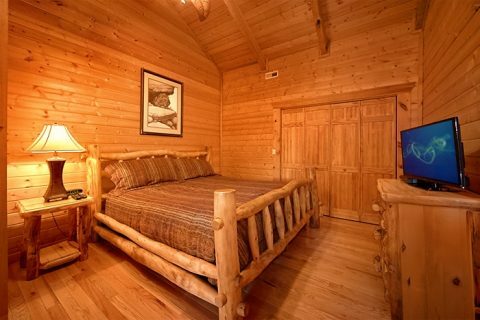 Your cabin also comes complete with WiFi Internet, so you can stay connected during your vacation. 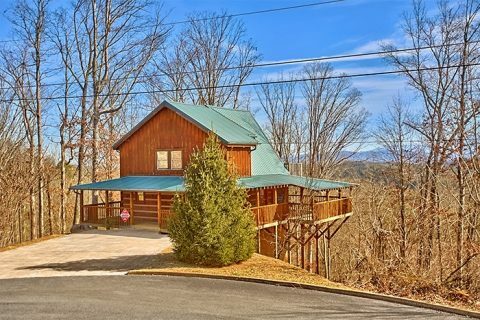 Outside on the spacious, covered back porch, you'll find the main attraction of this gorgeous cabin. 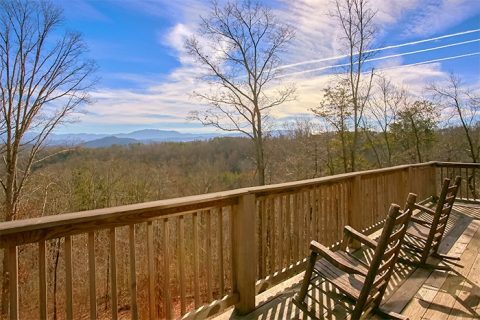 Surrounded by gorgeous Smoky Mountain forests, your cabin deck peers out over the tree line so that you can witness stunning views of the Smokies. 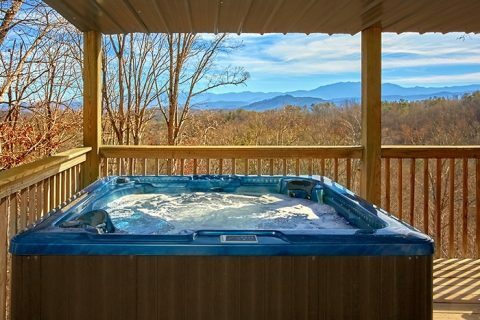 Better yet, you can enjoy your view from your cabin's outdoor hot tub or while you stay warm next to the seasonal outdoor gas fireplace. 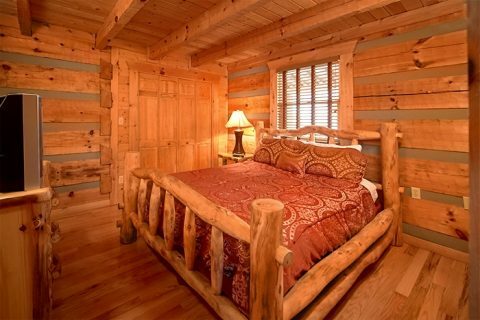 Once it's time to get some rest, guests will look forward to a great night's rest in either a king-size bedroom with a jacuzzi or a comfortable queen-size bed. 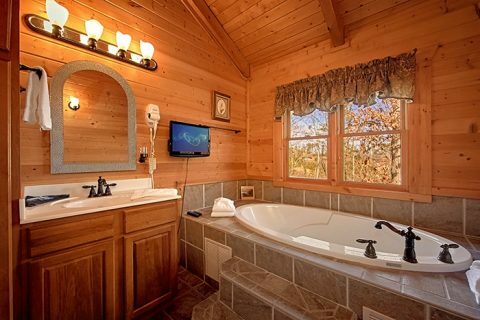 Both bedrooms come complete with televisions for relaxing in the evening. 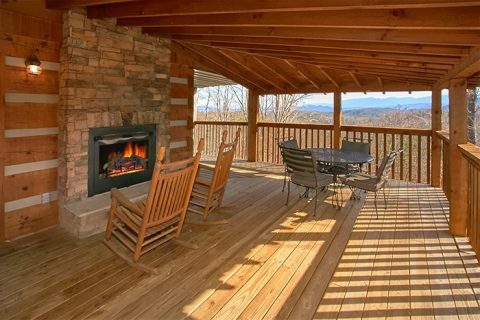 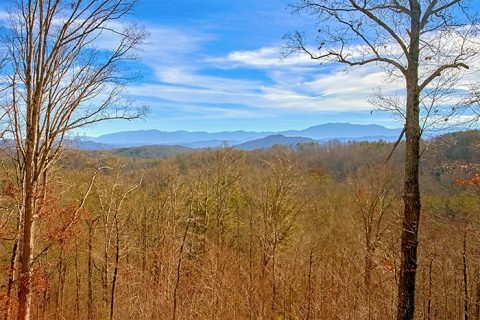 Book your very own Smoky Mountain cabin with terrific views close to Pigeon Forge and save 15% with our discount. 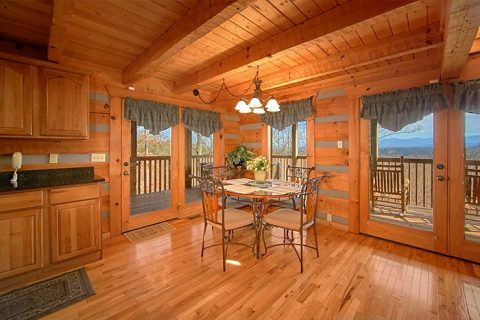 Simply book with Cabins USA Gatlinburg for a vacation in the Smokies you won't soon forget! 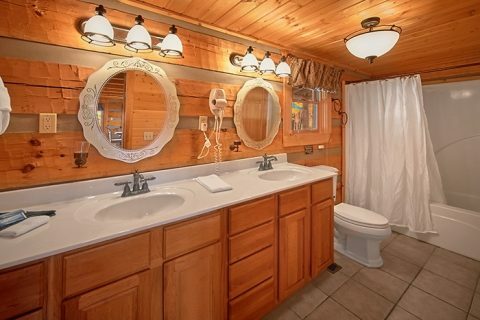 Please note: Four-wheel drive is recommended for reaching this cabin during the winter months.